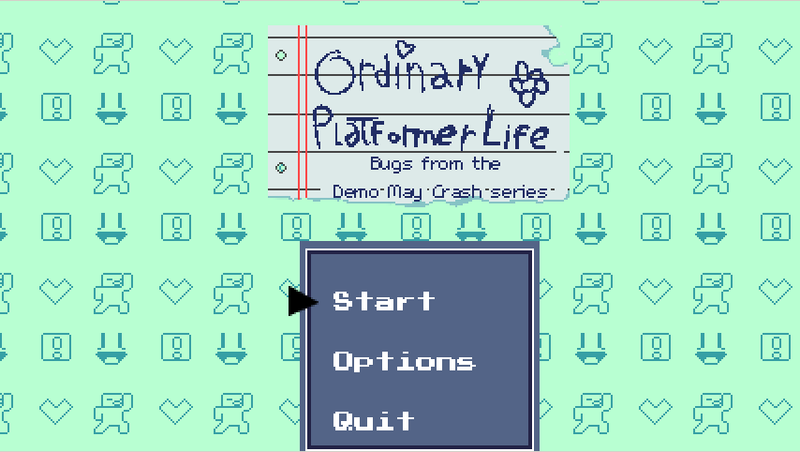 A pretty good ordinary platformer from what I played. What you have now seems like a good base, but I'm curious to see where you take it from here and what other mechanics you end up implementing. Plus you have cute art and sprites, so that's always a great thing. I'm excited to see how this develops. As I said before, I'm really happy to see how much this game has grown since DD9. It has become a really fun platformer, with very cute graphics and nicely done animations. Found two interesting bugs. First one: seems MC's hitbox/mask is way bigger than what it should be. 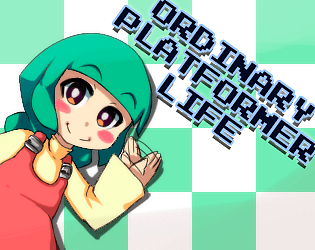 If you move carefully and slowly on top a platform you can get her standing on the air besides it. Second one: I mentioned it before to you, and Hemmingfish found it too, the one where the camera goes back to the checkpoint but you never reappear there. I think I found out how to do it. As the camera moves towards the checkpoint.press any of the directional arrows or jump button and you'll trigger it. Again, great job and amazing improvements. Hope to see more. Pressing Z feels like injecting pure cute into my veins. I got to the end and apart from the twirl nothing is super memorable. 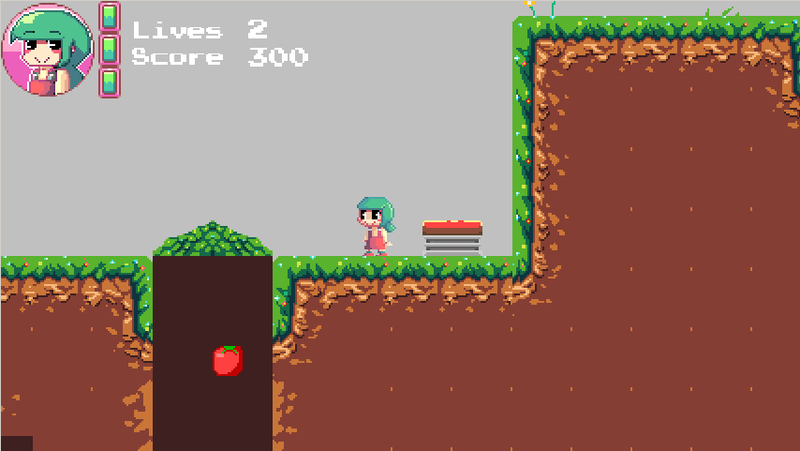 it's a solid base to build a platformer from. Pretty cute game, ran into a couple bugs though. Firstly, I was killed by running sideways into a spike in level 1 and bounced onto another enemy and didn't respawn correctly - the camera slid back to the beginning of the level (even though I had the first checkpoint hit) and didn't respawn me. Secondly, holding down fire while on a moving platform slides you backwards. I like the art and the qt protagonist though. Good work, gamer. Movement feels nice, and I didn't encounter any game breaking bugs. On the 2nd playthrough I attempted to look for bugs. I could walk over these gaps with the yellow enemies before the flagpole in map 1. If I shoot one of those circle enemies near a wall, it gets stuck. In addition to that, if an enemy was stuck in the wall there, if I respawn at that checkpoint, I would get hit immediately. Shooting on a moving platform (Horizontal at least) makes the grill ignore the carry speed of the platform for a few frames. (After boss) I went back to the flagpole before the boss, and one circle enemy was stuck in the ground about halfway. Going on a spring then immediately jumping resets your vertical speed. 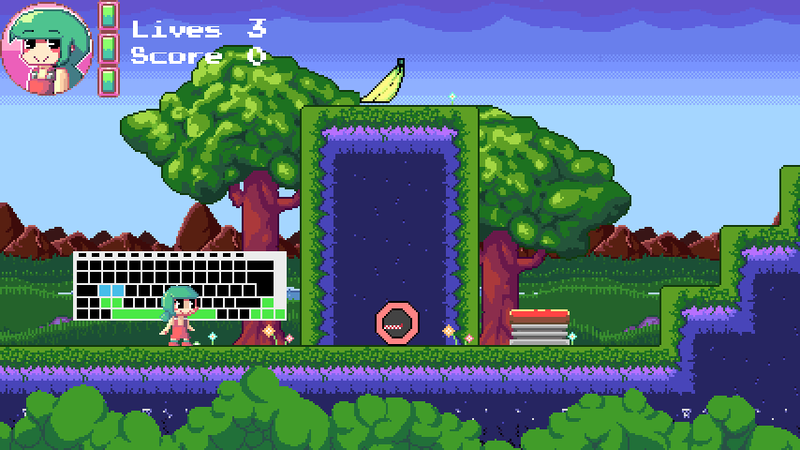 I kind of expected to bounce higher off of enemies by holding jump, but it doesn't appear to do that. Looking great so far though. I also probably spent about a minute trying to get the options menu to work. I've uploaded some game play footage about your game. Thank you for making this!